If you want to get organized you really need to write things down; however, writing isn’t for everyone and that means going electronic! The technology is amazing with the different to-do apps that are free is awesome. If you want to go beyond basic for some of these you will have to pay some money. It is best to get a feel for an app to see if it fits into your life well. They all follow the same principle for allowing you to create notes and reminders of things you need to do. However, they are all individual and you might prefer one style over another! Free is always great, but you might find that if you love an app and it works well for what you want, some of these apps have in-apps purchases where you can upgrade the account. Think carefully before doing this, the app has to meet your needs and you must commit to using the app regularly otherwise it is a waste of money! Evernote is an awesome app, you can have it on your phone and computer and it syncs it all together perfectly. You create notes in sections called notebooks and you can search and find things really easily. It is one app that I really liked, it for me is one of those apps that I love. However, for me, I just couldn’t get into the habit of using my phone when my diary makes a great place to write reminders and notes! However, for creating projects this is a great resource! For me, I have only recently discovered this app, I don’t know why I hadn’t found it before! The only reason I haven’t used this one is really simple, I couldn’t get my phone to sync with the app and that meant it was redundant in my eyes. If it had worked I think I would still be using it! It is a simple to-do list app that is easy to use and not full of fancy things you will never open! If you like games then this one is for you! The more tasks you do the more you unlock in the game and the more you can do! If you don’t do tasks then you are in for a punishment too! For some people, this is all the motivation they need to stay on track! For me, I just didn’t have the time to think about the game side of the app so it just didn’t work! If you are looking for a distraction-free interface then this is the right one for you. It is very simple, designed to focus on the tasks at hand and not to look pretty. It does what it says and it helps you organize your life, however, for me I find it too bland! I have used Asana for some time and whilst it is a great way to organize lists and to-dos, there are some things that you just can’t do and for this, it bugs me. I think as a to-do list it is perfect, but I think it’s more for business rather than just a personal to-do list. It’s updated and they are always making changes and updating the software, but there are some areas that I don’t think will ever change and for those reasons, one day I might leave completely. This app looks awesome, it is not one that I have personally tried, and it is on my list for the future if I fall out with what I am currently using! I love the look and the feel of the design and it is free, you can upgrade to a more advanced account. But make sure you are really comfortable with the software first! This is a great app for doing the basic lists and to-do lists, I do like this one, but for what I need I just didn’t feel that it would work well for me. However, if all you are looking for is a way to remember lists, tasks and the normal stuff, then this app is a great contender! Again a great way to organize your life with lists and to-dos! I haven’t used this one at all, it is free and very popular but I just didn’t like the look of it when I have seen it demonstrated. I think it looked too complicated and that put me off even giving this one a fair try! Is a simple and no frills way to organize your to-do list, it is simple and yet very effective. It does what it says it will do and that is so important with modern technology! You want it to take up that slack and get the job done! I have fallen in love with this system and I am signing up to see how effective it truly is! I like the fact that you can see things on a calendar as well as other views too! It is all that you could want in a to-do list and more. 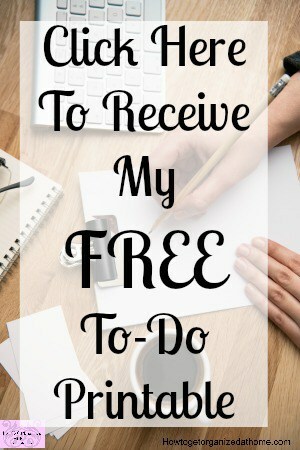 If you are looking for inspiration of the paper-type to-do lists, then check out these ideas from Amazon, I am sure you will love them just as much as I do! 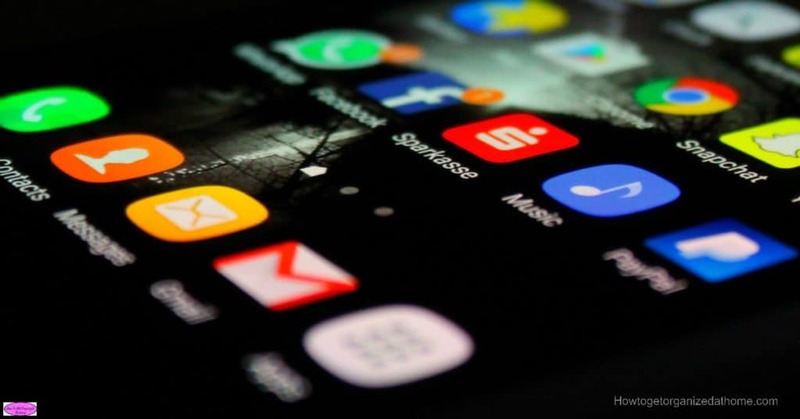 These 10 apps are all awesome, they are very popular and when you find one that you like and love it will fit seamlessly into your life! Well, that is the hope! I can’t wait to really dig into Toodledo, it looks awesome and it has features that I want to try! Looking for more articles on organizing? How To Help Me Get More Organized At Home is a great place to start! Try wunderlist the free version is plenty. My favorite by far! My favourite is Remember the Milk, although I have Evernote premium and use this for all my digital filing I still prefer to use Remember the Milk to manage all my tasks.